Back in December, trainer Mark Casse could have only hoped for these kind of results. First, he planned to continue running Grade 1-placed turf horse War of Will on the dirt. 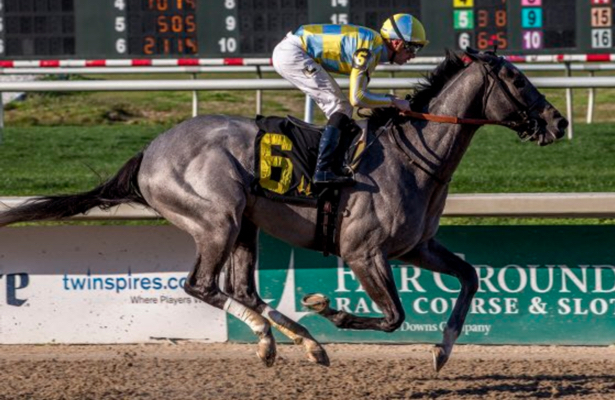 That led to a commanding victory in Fair Grounds’ Lecomte Stakes (G3) and favoritism in next weekend’s Risen Star (G2). Next, Casse intended to return Dream Maker — off since injured leaving the gate in Keeneland’s Breeders’ Futurity (G1) — in an allowance race that could put him back on the 2019 Kentucky Derby trail. A John Oxley homebred by Tapit, Dream Maker looked fit for a prep Saturday while running to an 8 1/2-length victory that gives Casse two Derby prospects based in Louisiana. "I don’t know if you saw, but after the race he took off, which speaks volumes for the future," Casse said Sunday, reflecting on a victory in the 1 1/16-mile test for 3-year-olds who were non-winners of two races. "It was a very rewarding race because I’ve kind of let everybody know I’ve always held him in high regard, and he’s just had a lot of little things happen to him along the way. It was very gratifying to see him win and win the way he did. Excited." Casse spoke with Oxley on Sunday morning about what's next. "If he is going to make the Derby, which we think he is a Derby horse," the trainer added, "we kind of like the Tampa Bay Derby and then maybe the Blue Grass." The Tampa Bay Derby (G2) runs March 9. Dream Maker took his time getting back to the races having clipped heels at the break of the Breeders' Futurity, also losing a shoe and part of his foot. The colt returned to the work tab Dec. 23. Handled confidently by jockey Florent Geroux, Dream Maker rated off the pace Saturday while running in the clear up the back stretch. Geroux circled him three wide through the turn before the duo ran down the center of the track, finishing up in 1:44.10. Only a few cracks of the whip were needed to keep him focused. Dream Maker, out of the Monarchos mare To Dream About, is a full brother to Grade 1 turf winner Dream Dancing. The colt has made four starts, showing promise dating back to a three-length debut win last June at Churchill Downs. "He went a little under the radar," Casse said. "I saw there was a lot written about a lot of horses. But I think some of the people missed how impressive he was. I came away from the race feeling very good and confident." Dream Maker leaving town means a way to Churchill Downs through the March 23 Louisiana Derby (G2) for War of Will should he progress from the Risen Star.